The patent expiration of blockbuster drugs not-so-fondly called the “patent cliff” by industry insiders, continued through 2016. Medicines that once generated $133 billion in U.S. sales alone will face generic competition, according to Evaluate Pharma. 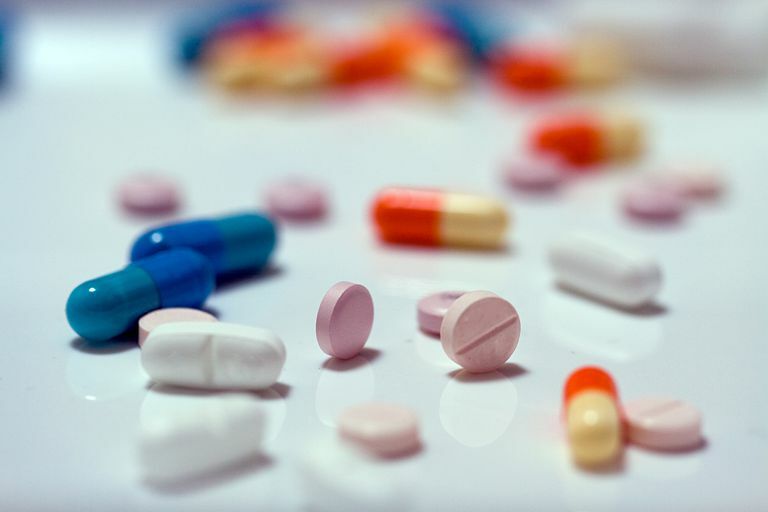 Some of the best-selling drugs in history lost patent protection in 2011 and 2012. Drugs like Lipitor, Plavix and Viagra earned billions for their sponsors while setting global sales records. Oxycontin (oxycodone HCI), an opioid for pain management, earned $2.8 billion in sales in 2011 for its U.S. manufacturer, Purdue Pharma LP. AcipHex (rabeprazole sodium), for heartburn associated with acid reflux disease, manufacturer: Eisai Inc. and Janssen Pharmaceuticals, Inc.
Zometa (zoledronic acid) injection is a treatment for hypercalcemia of malignancy caused by high calcium blood levels due to cancer; $1.5 billion in global sales in 2010. Manufactured by Novartis. Xeloda (capecitabine) is an oral chemotherapy treatment for metastatic colorectal and breast cancer manufactured by Genentech/Roche. U.S. sales were growing by double digits annually to reach $647.6 million in 2011. Opana ER (oxymorphone HCI), an opioid agonist approved for the management of moderate to severe pain, manufactured by Endo Pharmaceuticals Inc. Sales in 2011 were $384.7 million. Cymbalta (duloxetine HCI), manufactured by Eli Lilly, is for the treatment of depression, generalized anxiety disorder, diabetic nerve pain, fibromyalgia and chronic musculoskeletal pain. Global sales exceeded $4 billion in 2011. Lunesta (eszopiclone), a treatment for insomnia, is manufactured by Sunovion Pharmaceuticals Inc., a subsidiary of Dainippon Sumitomo Pharma Co. Ltd. Global sales in 2010 were $631 million. Abilify (aripiprazole) by Otsuka Pharmaceutical is an anti-psychotic used to treat the symptoms of schizophrenia and bipolar disorder. In 2010, global sales reached $4.6 billion. Copaxone (glatiramer acetate injection) is a treatment for relapsing-remitting multiple sclerosis (RRMS) manufactured by Teva Pharmaceuticals. Sales reached $3.57 billion in 2011. Gleevec (imatinib mesylate) is a treatment for chronic myeloid leukemia (CML)and gastrointestinal stromal tumor (GIST). Global sales were $4.26 billion in 2010. Gleevec is manufactured by Novartis. Namenda (memantine HCI) is a treatment for moderate to severe Alzheimer's disease manufactured by Forest Laboratories, Inc.
Provigil (modafinil), a treatment for excessive sleepiness and shift work sleep disorder, is manufactured by Teva Pharmaceuticals. The product generated $350 million in sales in 2011. Combivent (albuterol and ipratropium inhalation) is management of for chronic obstructive pulmonary disease (COPD) symptoms. Boehringer Ingelheim reported sales of $965 million in 2010. Zyvox (linezolid) is an antiviral manufactured by Pfizer. The company reported global sales of $325 million in 2011. Prezista (darunavir) is a protease inhibitor for human immunodeficiency virus (HIV) infection. Distributed by Janssen Therapeutics, Prezista sales were $888 million globally in 2010. Avodart (dutasteride) is a treatment for benign prostatic hyperplasia (enlarged prostate gland). GlaxoSmithKline reported sales of $973 million worldwide 2010. Crestor (rosuvastatin calcium) by Astra Zeneca, is a treatment for lowering LDL cholesterol I the bloodstream. Crestor sales were $6 billion in 2010. Benicar (olmesartan medoxomil) for high blood pressure is manufactured by Daiichi Sankyo, Inc. In 2010, sales were $2.5 billion. Cubicin (daptomycin) is an anti-viral manufactured by Cubist Pharmaceuticals. The drug generated $644 million in global sales in 2010. The generic drug, datomyucin, was approved July 6, 2016. Zetia (ezetimibe) used to treat high cholesterol, manufactured by Merck. Nuvigil (armodafinil) used to treat sleepiness related to narcolepsey and sleep apnea. Manufactured by Teva. Intuniv (guanfacine hydrochloride) used to treat childhood ADHD, manufactured by Shire. Seroquel XR (quetiapine fumarate) used for acute treatment of depressive episodes, manufactured by AstraZeneca. Of course, there are many things that can go wrong when a generic company tries to launch a new product into a competitive marketplace. EvaluatePharma Ltd. Pharmaceutical industry bracing for record patent Expiries, EvaluatePharma data reveals. February 2, 2011.